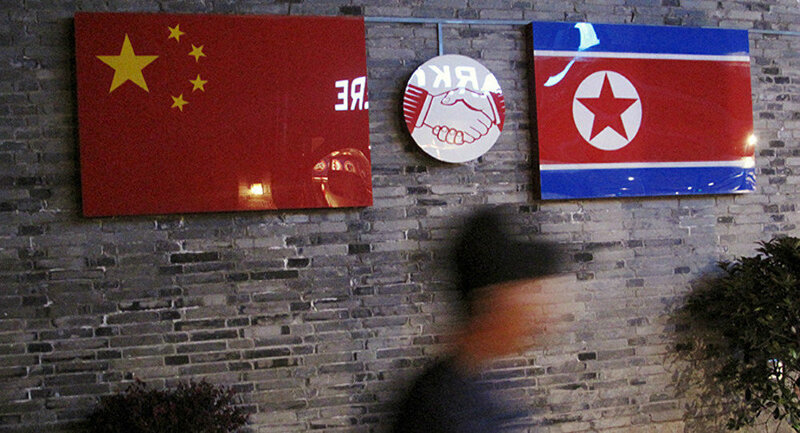 China is introducing a ban on imports of some goods from North Korea in line with a UN Security Council resolution, the Chinese Commerce Ministry said Monday. BEIJING (Sputnik) – US President Donald Trump has repeatedly called on Beijing to increase economic pressure on North Korea as China is Pyongyang's biggest trade partner. "On August 15, a full ban on imports of coal, iron, iron ore, lead, lead ore, seafood from North Korea is introduced," the ministry said in a statement. According to the statement, North Korean products arrived at Chinese ports before the ban would be allowed to enter the country. Import applications of products from North Korea will be halted from September 5. Meanwhile, Chinese companies are still allowed to import coal from third countries via the North Korean port of Rason. However, Chinese importers need to apply for approval from a UN committee set up under the UN Security Council resolution 1718. Interestingly, Beijing's move came amid media speculations that Trump is mulling a trade crackdown on China. China is by far the largest trading partner of North Korea. In April, the Chinese General Administration of Customs said trade between the two countries in the first quarter increased 37.4 percent year-over-year, even despite the UN sanctions on North Korean supplies of coal, the country's top export earner. The tensions around North Korea have been high over the recent months and they have escalated further after the tightening of economic sanctions against North Korea by the United Nations Security Council (UNSC) last week in response to July's launches of ballistic missiles by Pyongyang. On August 5, new UNSC sanctions against North Korea could cut the nation’s annual export revenue by $1 billion.